So this is my eat-till-I-pop outfit on a much needed trip to Borough Market. 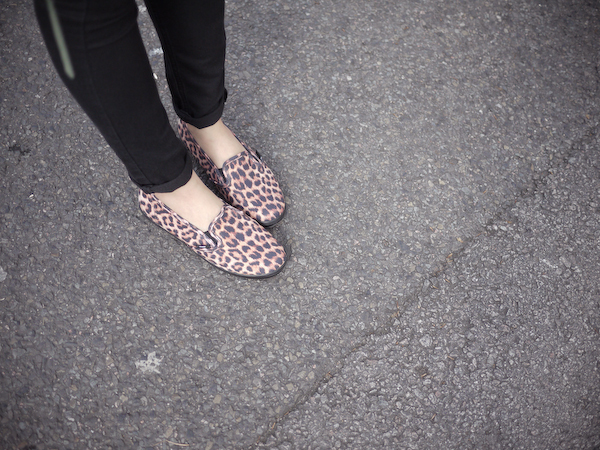 Wearing my new leopard print Vans Lo Pro slip ons, an impulse purchase on one of my weekly ganders around Topshop. I wasn't particularly looking for new shoes, but after posting this awesome pair of YSL's on my tumblr and then finding out they're made for MEN, I knew my new shoes were a keeper. Which is saying a lot, because I tend to return 90% of my purchases after I go home and contemplate opportunity costs and practicality meehhhh. 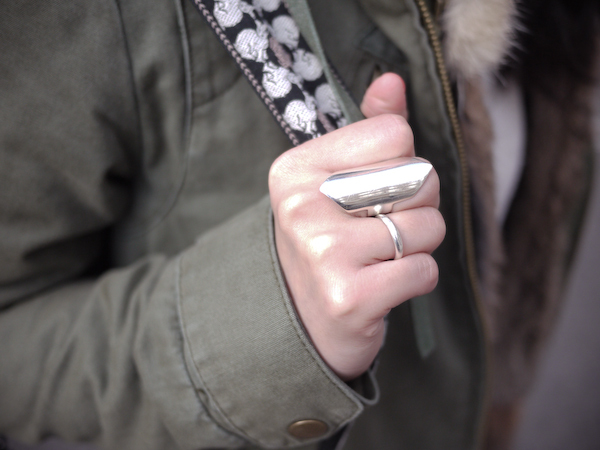 The double arrow ring I'm wearing is handmade by my sister, chhhhheck out her feature on How I Met Your Style and peek more of her weapon-like jewelry here. Yes I saw your instagram photos at the Borough Market! So jealous! Wanted to go for ages but never got around to it! Don't even wana ask what you've bought! Hah! Also, I think you'll be fine with those jeans from Zara, it's supposed to be cropped anyways so you can wear them as if they are not (like me)! OR roll them up above your ankle, rolled up jeans are so on right now! Ooo very nice!! I don't have a single pair of 'printed' shoes/flats so to speak but eventually I kinda hope to get one one day! :D Leopard print shoes seem to be the ones that are pretty good looking!! Haha ooh and thanks for the comments! X) in response to them, YES I'm kinda surprised myself that SG has all these great cafes and there seem to be a lot more popping up! :) Come visit!!! How long more will you be in London for? Awww! You look so pretty and comfy! I love it! Looking RALL good nanz! Love the vans...told you vans is always the best of the best! Good choice on these ones toooo :) gonna get me some camo ones soon!! Lovely outfit, this is my kinda outfit!